Wonderful vocalist and songwriter. She was born on August 12th, 1943 in Stockton-on-Tees, England. They released a single credited to Leslie Duncan And The Jokers, ´I want a steady guy / Movin´ away´. She released several singles, without great success. 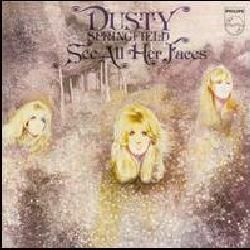 Lesley joined Dusty Springfield, probably around 1966, appearing in several of their albums, forming a magnificent vocal team with Madeline Bell and Kiki Dee or Maggie Stredder. Sorry, I don´t have info about the lineup(s), so if someone can help, it would be very appreciated. I don´t know the musicians, but they probably were The Echoes. Help, please! 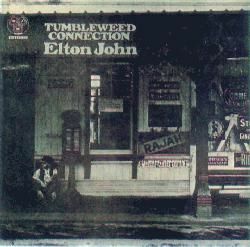 In 1970, when Elton John chose Lesley´s tune ´Love song´ for his album Tumbleweed Connection, where Lesley appears, she signed a solo contract. Although, much to our delight, she kept on appearing in many albums as backing vocalist. Around that time, she married producer and keyboardist Jimmy Horowitz. Lesley appeared in two more albums by Elton, as well as singing backup in one concert. In 1974, she also appeared in Elton´s live album Here and there dueting with Elton in ´Love song´. Lesley wasn´t keen on performing live. 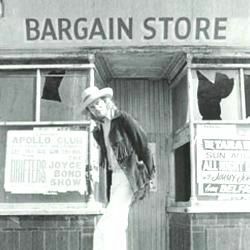 Anyway, she appeared in the Reading Festival 1973 (with one song in the collective live album) and also toured in 1976. She later married producer Tony Cox. Her last appearances were with him, and around 1980, she stopped doing sessions. A pity. But the tragedy arrived when I read about Lesley´s passing in 12th March, 2010, due to a cerebrovascular disease. Rest in peace. Comments: Lesley´s first album. 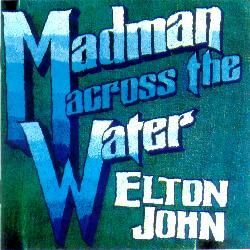 It was recorded with Chris Spedding (guitar), Joe Moretti (guitar), Toni Campo (bass), Jimmy Horowitz (keyboards, also producer), Elton John (keyboards), Terry Cox (drums), Ray Cooper (percussion), Tristan Fry (percussion), David Katz (strings). Comments: Moon bathing is one of Lesley's best albums. 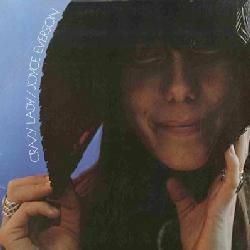 Recorded during the winter of 1974, it features Chris Spedding (guitar), Jim Ryan (guitar), Peter Dennis (bass), Jimmy Horowitz (keyboards, also producer), Derek Grossmith (horns), Glenn Le Fleur (drums), and vocals by Liza Strike and Joanna Newman. Comments: Lesley recorded this track again in 1979 as a benefit single, with an all-star backing group. Comments: Some CD reissues contain bonus tracks. 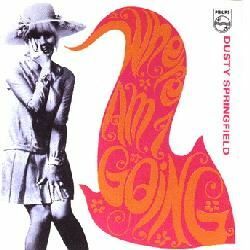 Comments: It was reissued with bonus tracks with the title Where am I going... plus. Comments: CD reissue from 1995 contains 3 bonus tracks. 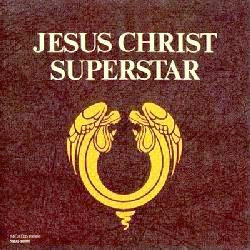 Comments: Recorded in September 1970, it was the soundtrack for the movie of the same name. Comments: Recorded in February and August 1971. Comments: See all her faces was produced by many different people, but all great producers: Tom Dowd, Arif Mardin, Jerry Wexler, Ellie Greenwich, etc. The orchestra was conducted by Jimmy Horowitz and Derek Wadsworth. CD reissue contains 3 bonus tracks. Comments: Recorded live in 2 different concerts at May 74 and November 1974. 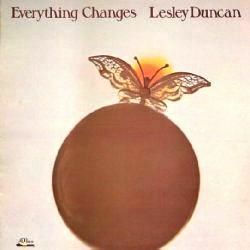 Lesley Duncan sings a duet with Elton in her own tune ´Love song´. 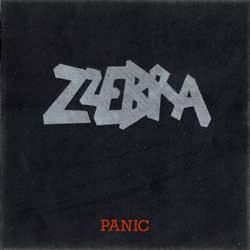 There is an expanded 2CD reissue with up to 25 tracks. Comments: Compilation with some tracks that don´t appear in any other album. Comments: 4CD boxset with some rarities. Comments: CD reissue from 2004 contains 6 bonus tracks. 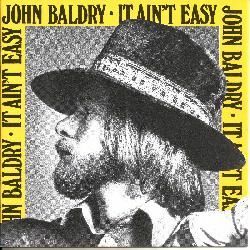 Comments: It ain't easy was co-produced between Elton John & Rod Stewart. It features Maggie Bell (vocals), Ron Wood (guitar), Sam Mitchell (guitar), Ray Jackson (mandolin), Ian Armitt (keyboards), Alan Skidmore (sax). Jimmy Horowitz acts as executive producer. Also appearing the complete lineup of Hookfoot: Caleb Quaye (guitar), Ian Duck (vocals, harmonica), Dave Glover (bass), Roger Pope (drums). 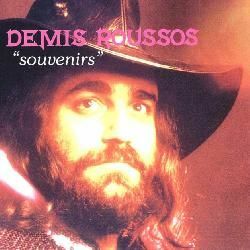 My opinion: It includes a song written by Lesley Duncan, ´Mr Rubin´. 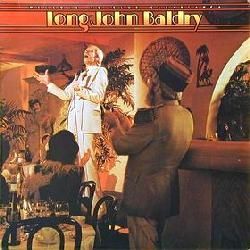 Comments: The album Gone to my head was recorded with Brian Belshaw on bass and Micky Waller on drums. It also includes guest appearances from Peter Frampton (Andy Bown's bandmate in The Herd), Jimmy Horowitz (keyboards, also the producer and arranger) and Lesley Duncan, Caroline Attard, Kay Garner & Liza Strike on vocals. Comments: Fantastic American vocalist (now acting as Joyce Turnpenny). 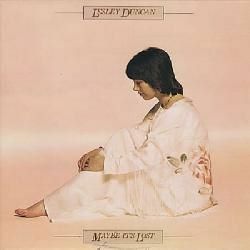 In her debut album from 1972, recorded in England, we can find Lesley Duncan (vocals), Peter Frampton (guitar), Martin Quittenton (guitar), Andy Bown (bass), Barry De Souza (drums), and vocals by Madeline Bell and Liza Strike. 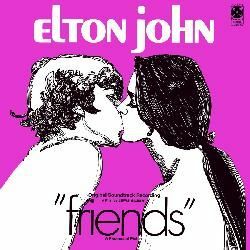 All produced by Jimmy Horowitz, who also played keyboards and flute. Comments: This album features Bob Cohen (guitar), Peter Frampton (guitar), Andy Bown (bass), Jimmy Horowitz (keyboards, also producer), John Mealing (keyboards), Mike Driscoll (drums), David Katz (strings), and vocals by Madeline Bell, Sue Glover, Liza Strike. CD reissue from 1992 contains 1 bonus track taken from a single. Comments: Welcome to the club contains appearances by Jesse Ed Davis (guitar), Andy Bown (guitar), Sam Mitchell (guitar), Alan Murphy (guitar), Fred Tackett (guitar), Klaus Voormann (bass), Ian Armitt (keyboards), Jimmy Horowitz (keyboards), John Jarvis (keyboards), Pete Gavin (drums), Jim Keltner (drums), and vocals by Madeline Bell, Tony Burrows, Lesley Duncan, Kay Garner, Neil Lancaster, Chas Mills, Liza Strike. Comments: Double CD, including two complete albums, It ain´t easy and Everything stops for tea, plus unreleased tracks. 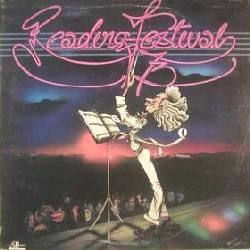 Comments: Live album obviously taken from the Reading Festival 1973, featuring tracks by: Rory Gallagher, Strider, Greenslade (with Tony Reeves), Status Quo, The Faces, Andy Bown, Lesley Duncan and Tim Hardin. The common point was their management. Jimmy Horowitz co-produced the live album (having worked with most of these acts also in the studio). Comments: The complete title was Flash Fearless versus the Zorg women, parts 5 & 6. What a title! Of course, there's no parts 1 to 4. 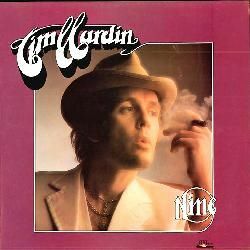 Let's see the great members list: vocals: Elkie Brooks, Alice Cooper, Jim Dewar (1 track), Jim Dandy, Frankie Miller. Guitars: Mick Grabham (2 tracks), John Weider, Justin Hayward. Bass: John Entwistle. 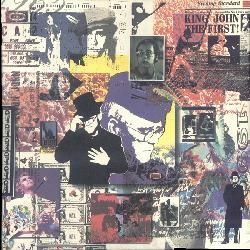 Keyboards: Nicky Hopkins (6 tracks), Eddie Jobson (2 tracks), Chick Churchill, Kirk Duncan. Sax: Howie Casey. Drums: Carmine Appice, Graham Deakin, Bill Bruford, Kenny Jones, Keith Moon. 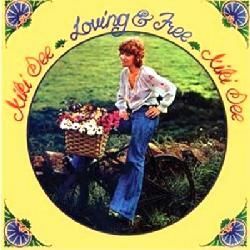 Backing vocals: Doreen Chanter, Lesley Duncan, Kay Garner, etc. 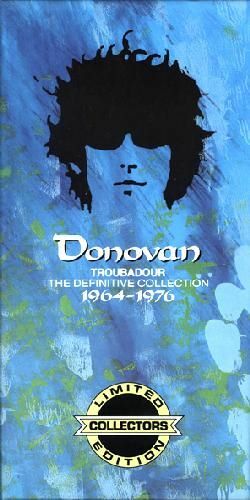 Comments: Soundtrack from the film, containing tracks by Steve Forbert, Jorma Kaukonen, Evia Sands, Blondie, Lesley Duncan (´Everything changes´), Blondie, Alice Cooper, Gilbert O´Sullivan, Donovan, Karen Dalton, Stephen Bishop and others. Comments: Paul Nero is a pseudonym for Klaus Doldinger. With his alter ego, he recorded some albums in the style of commercial orchestras. Comments: CD reissue contains 13 bonus tracks! 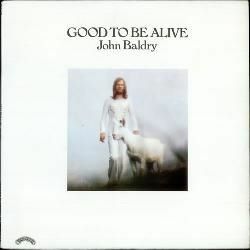 Comments: First solo album by Jonathan Kelly. Comments: He was a singer and writer (wrote 'You won't be leaving' for Herman's Hermits, and 'Fox on the run' for Manfred Mann). 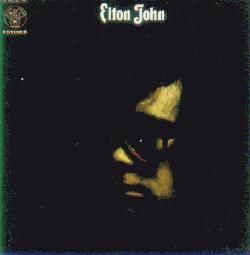 He used to collaborate in several Elton John albums (Elton John, Tumbleweed Connection and Honky Chateau), so many of Elton musicians backed him on some of his solo albums. 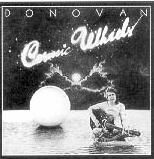 This was his 2nd solo album, where he was backed by Clem Clempson (then, labelmate in Colosseum), Caleb Quaye and Ray Cooper (guitar and percussion, both from Elton John Band), Chris Spedding (guitar), Mike Batt (piano), Dave Greenslade (keyboards), B.J. Cole (steel guitar), Chris Slade (later in Uriah Heep, The Firm, AC/DC, etc. 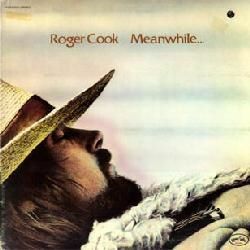 ), and featuring vocals by Lesley Duncan and Sue Glover. Comments: He was one of those one-hit wonders of classic rock. On his first, self-titled album, the songs ´Only Love´ and ´Get It Right On Out There´ made some charts in the USA. Folk-rock crossover. 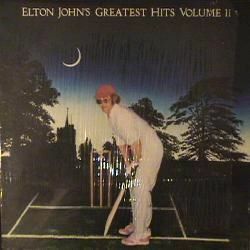 In Bill Quateman, Caleb appears with another Elton bandmates, like Davey Johnstone or Ray Cooper, plus Denny Seiwell (from Wings), Paul Keogh (guitar), with the voices of Lesley Duncan and Liza Strike. 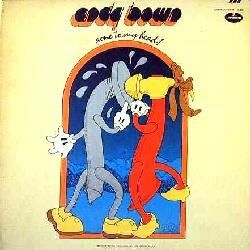 Comments: Their first album was Kick off your muddy boots, also including Ray Thomas (vocals, from Moody Blues), Ginger Baker (drums), and vocals by the magnificent ones Lesley Duncan, Sunny Leslie, Barry St. John, Joanne Williams, Brian Parrish, Ruby James and Nicky James. A magnificent album, with great songs. Paul Gurvitz co-wrote the song ´The tunnel´. The CD reissue has 1 bonus track, ´We like to do it´. Comments: These are some of the musicians featured on Squire: Albert Lee (vocals), Kenny Craddock (keyboards, guitar), Ray Jackson (harp, mandolin, vocals), Jean Roussel (keyboards), Ray Laidlaw (drums), Jo Newman (backing vocals), and the almost complete Snafu lineup: Micky Moody (guitar), Colin Gibson (bass), Brian Chatton (keyboards), Terry Popple (drums). Comments: Recorded from February to December 1978. CD reissue from 2007 contains bonus tracks. 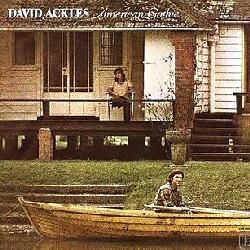 My opinion: Fantastic album, with great songs. 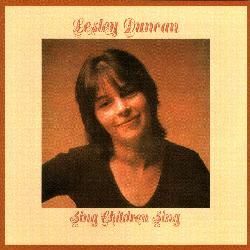 The vocal contributions are fantastic, with the lovely Lesley Duncan singing lead on the haunting song ´If I could change your mind´. 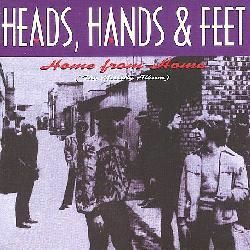 Comments: This album was recorded in 1968, originally to be the 2nd album by Poet & The One Man Band, but it remained unreleased until 1995, now credited as Heads Hands & Feet. The Bond Street Midnight Choir that appears contains, uncredited, none other than Zoot Money, Lesley Duncan, Madeline Bell, Andy Summers, John Anderson, Linda Lewis, B J Cole, David Foster, Ray Osborne, Jamba and Tony Ashton. Comments: 3CD compilation with some unreleased track. Comments: It includes his solo album Ascension heights, plus 7 additional tracks: a single, one live track with Pete Wingfield, and 4 unreleased tracks with Lloyd Watson. Disclaimer: I don´t own or upload any of the videos linked here. I just include links to live videos that are already available, in order to show the work of this musician. Anyway, if someone feels that some link shouldn't be included, please write me at the email address shown below. 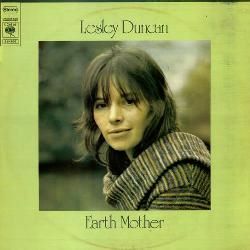 And if you know of more videos featuring Lesley Duncan, please, also write me with the link. Featuring: Madeline Bell, Paul Buckmaster, Lesley Duncan, Kay Garner, Elton John, David Katz. Orchestra unknown to me. Ken Mortimer: for suggesting Lesley Duncan for my site (1999). Alex Gitlin: for some Lesley albums. 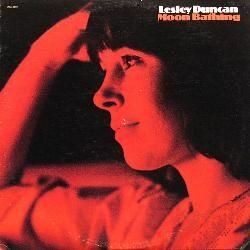 Lesley Duncan featured in a 3 part TV musical series called " Sounds like....." circa 1974/5 and produced for BBC North East(Newcastle) by Brian Strachan. The other 2 shows showcased Hedgehog Pie and I think Pentangle. I have contacted BBC archives but they have no trace. It was a great show with Earth Mother playing to scenes of environmental damage etc. Do you have any knowledge of its existence?